The office of Doris Forman, CPA, is a tax accounting firm in Emeryville. 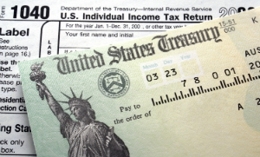 We have more than 28 years of experience preparing taxes for individuals and businesses. Our goal is to provide you with personalized service to get you the highest return possible. You can count on us to handle virtually any accounting or income tax issue. Doris Forman, CPA, has built a reputation for professional accounting and tax services along with in-depth knowledge of state and federal tax codes. We can provide you with expert preparation and filing regardless of the simplicity or complexity of your taxes. Give Doris Forman, CPA, a call today at (510) 457-0651 for your free initial consultation.